Do You Really Need Creative Writing Classes? Are you seeking creative writing classes? Sometimes society convinces us to take a class about everything. Certainly there are times when taking a course is a great idea, but it is not always necessary. And learning to write creatively may be one of those pivotal issues. The fact is that there will be some of us who will benefit greatly from creative writing classes, and some who may not. That’s not to say that you wouldn’t benefit at all from such classes. But the question is would it be enough to get your money’s worth. So let us look at some beginning tips for creative writing. While this may not sound very important to you, but knowing all the creative writing genres and subgenres will be of great benefit to you. The reason is that there are lots of great writers out there who have specialized in some of these subgenres. You never want to be a jack of all genres because you will not be able to identify your audience. And if you know all the genres, then you will be able to know which one in which to specialize. So it is a great idea to be familiar with all the creative writing genres. This is what you would probably do in most creative writing classes. You should already at least know the four major subgenres of fiction which are novels, novellas, novelettes and also short-stories. You will find that if you dig underneath the surface, then there you will discover even sub-genres. For instance, stories that have less than 1000 words are now referred to as micro-fiction. And then there is the newest sub-genre on the block, Twitter fiction, which has only 140 characters. It is easy to understand that people who can write fiction like this have to have a very unique talent. Sometimes it is quite easy to find work from picking your very own genre. Each writer has their own genre where they seek out the areas they wish to master. It does not necessarily need to be fiction, but you can make it as obscure as your heart desires. It is always a little bit enjoyable to venture out your normal genre sometimes and create a story that is fun and light hearted. But you really shouldn’t do this until you establish yourself somewhere inside your own genre. Get yourself in the daily writing habit. 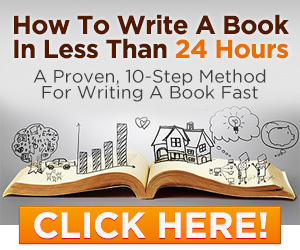 There are countless tools available online that help you with writing ideas and timers to track your progress. The important thing – especially in the beginning – is to start writing. Remember that writing is really a craft and you will improve this craft with practice, regardless of where you level is when you start. Some people say that to write regularly and it does not matter whether it is once a week or one a month. I am here to tell you it DOES MATTER how often you write. If you write daily, it will make a huge difference in how much quicker your writing skills will increase than writing weekly or monthly. If you are serious about creative writing and do not want to take creative writing classes, then you should definitely write every single day – period.